Russian filmmaker Elizaveta Stishova, who won a prize at the 53rd International Film Festival in Karlovy Vary, gave part of the received monetary reward to the family of Ukrainian filmmaker unlawfully imprisoned in Russia, Oleg Sentsov. Stishova won in the parallel section of the film festival "To the East from the West" with her film "Suleiman Mountain." At the awards ceremony, Stishova spoke in support of Russian filmmaker Kirill Serebrennikov and Ukrainian Oleg Sentsov, who are imprisoned in Russia. She noted that 15 thousand euro, received as a prize for the victory, will be transferred to the families of film directors. Reportedly, the main award of the film festival - The Crystal Globe - was received by the Romanian director Radu Jude for the film "I Do Not Care If We Go Down in History as Barbarians". 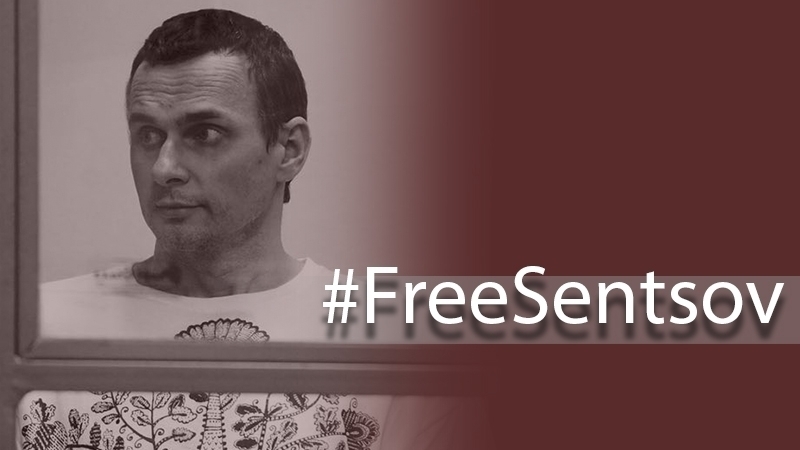 Earlier, Oleg Sentsov's sister Natalia Kaplan, after visiting a Kremlin prisoner in a Russian colony, said that he had lost 15 kg, but he did not intend to stop the hunger strike. Kaplan noted that Sentsov was disappointed that little attention was paid to other political prisoners and believed that if they released him alone, it would be a "complete failure."